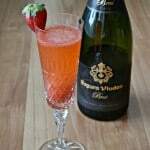 What do you do when you want the taste and feeling of a cocktail without the alcohol? 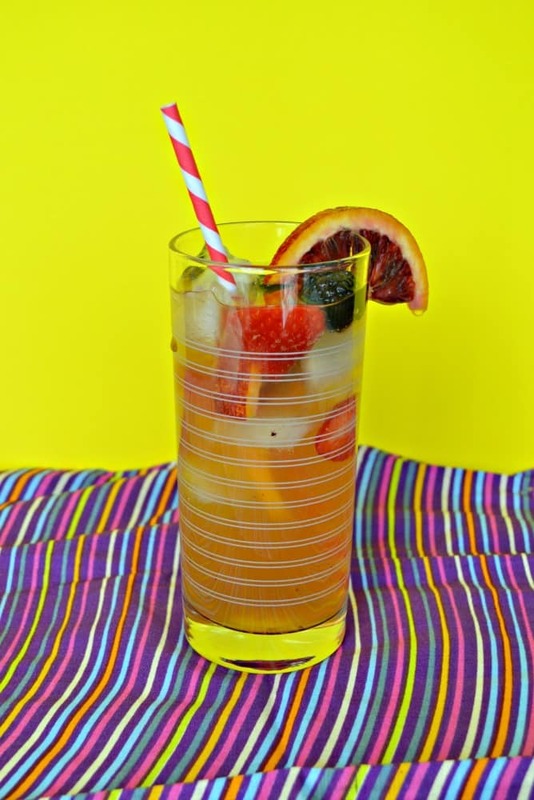 You combine your favorite iced tea with your favorite fruits! 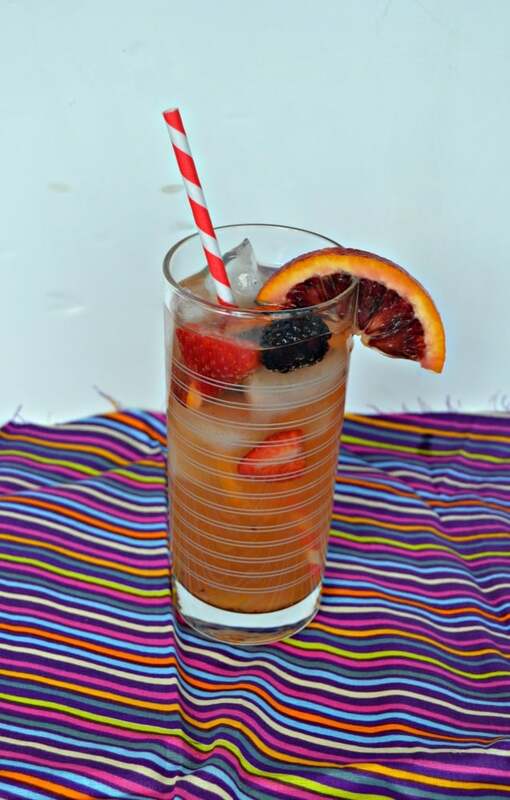 This Iced Tea Sangria is a fun and fruity drink perfect for sipping on all summer long. You can substitute out your favorite fruits in place of the ones I used or use the same ones. Another great thing about this beverage is that you can use regular or decaf tea. I’ve been really cutting back on caffeine so this is a great choice when I make it with decaf tea. 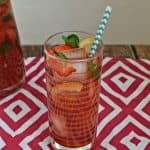 To make this tasty Iced Tea Sangria you’ll need iced tea, berries, lemons, oranges, fruit juice, and sugar. It’s simple to make as you just combine everything in a big pitcher and then put it in the refrigerator for several hours. The longer the mixture sits the more flavorful it will be. You can add more or less sugar as well to get it to your tastes. I like the smaller amount of sugar because the fruit makes this drink sweet enough. 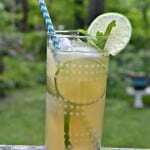 This Iced Tea Sangria is delicious! It’s fruity, just sweet enough, and totally refreshing. I love making a big pitcher of it on the weekend and then sipping on it out on my back porch every day after work. 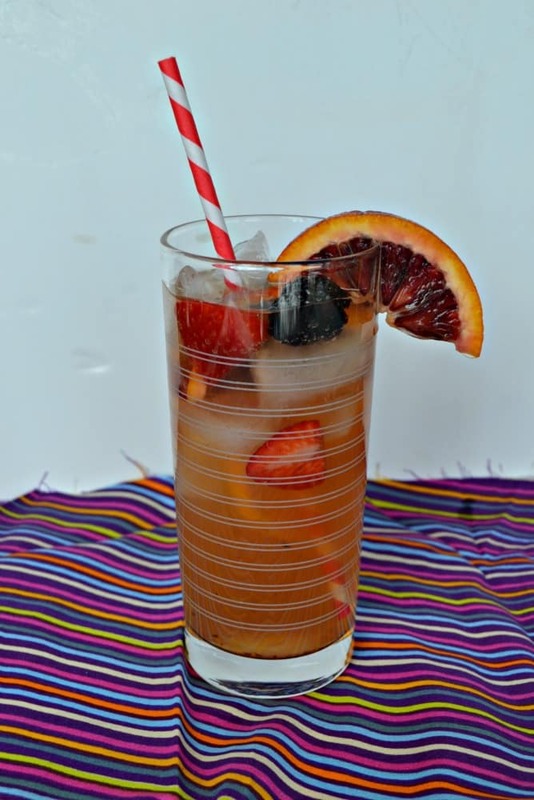 So grab your favorite fruits and whip up a batch of this delicious Iced Tea Sangria! 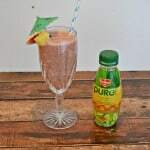 A delicious and fruity non-alcoholic beverage served with fresh fruit pieces. 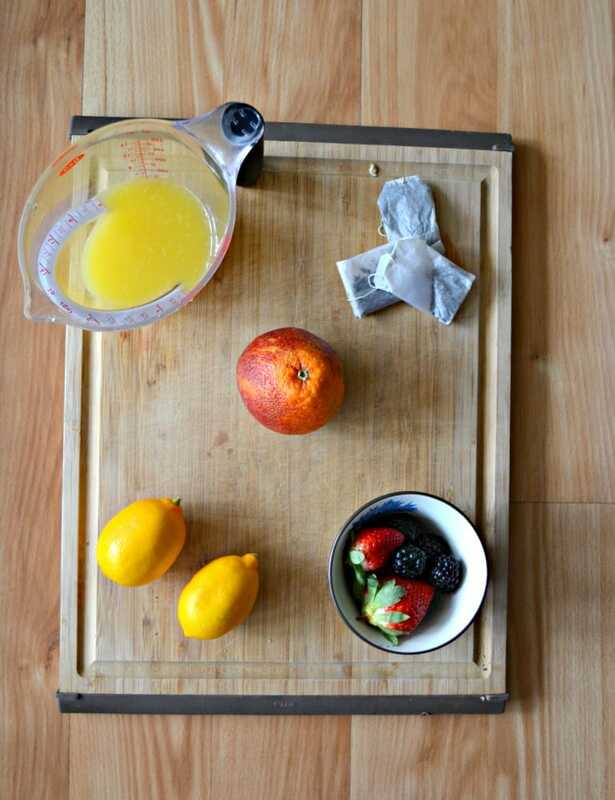 In a small saucepan combine the orange juice, lemon juice, and sugar. Bring to a boil and stir until sugar is dissolved. Remove from heat and cool. In a large pitcher combine the orange juice mixture, iced tea, blood oranges, Meyer Lemons, strawberries, and blackberries. Mix well and refrigerate for at least 4 hours. Serve over top of ice with additional fresh fruit..